She was a 1 owner CPO 1999 Carrera 2 tiptronic (eeee gads, again!) and a staggering array of options. The Porsche options book is preposterous and the original owner of this example had gone hog wild. The original sticker carried north of thirty grand in options; many of them cosmetic! Large carbon fiber kit? Check. Nav system and premium audio? Check. Large leather and large aluminum? Check. You get the idea. In addition he had installed Fabspeed headers and exhaust which provided a deep raspy soundtrack that was fantastic. The 996 has really been brutalized over the years, starting pretty much with it’s birth, but I’ve always loved it. I thought it looked great and I had no built in “anti-watercooling” bias. As a technology guy “modern” and “new” usually strike a subconscious chord with me and I’m also a sucker for increased performance. Experiencing the 996 first hand I became an instant fan. From a driving dynamics perspective I will say that the 911 is absolutely one of the finest cars I have driven and trades punches with the NSX blow for blow. The NSX is a bit more visceral, but the 911 steering feedback and feel is just a bit better. The NSX is livelier in the upper rev band, but the Porsche flat 6 has noticeably more grunt (torque) down low. Both offer incredibly supportive seats, perfect driver position, and a panoramic view. In the Porsche you sit more upright and have more a feeling of surveying the view from above whereas the NSX cockpit gives the feeling of putting you on the road. Both cars feel light and small and, as I’ve reiterated numerous times (this is a big one for me) wonderfully intimate. The tiptronic transmission was a decent automatic, but honestly makes the 911 a bit of a different car with less absolute performance (60 coming in 5.2 seconds rather than 4.8), but also reduced gearing efficiency. In either form throttle response and feel is excellent though, as are the fantastic brakes (excellent, though surprisingly heavy feel, huge power, minimal fade), and perfect chassis and suspension. The early 996 models could feel a bit top heavy and did exhibit some body roll, however, and the communicative steering coupled with the light front end can make the nose feel light. That sensation fades at speed, though, as the car settles down for business. The 911 is one of those rare beasts that feels more and more stable as the speedometer climbs, all the way until you reach its limits. The soundtrack from the Fabspeed setup was great, but had a bit too much drone in cabin for my tastes. I much prefer the standard Porsche Sport Exhaust which, to my ears, is one of the greatest exhaust systems available on any car, OEM or aftermarket. I had no issues with the 911 other than basic maintenance. 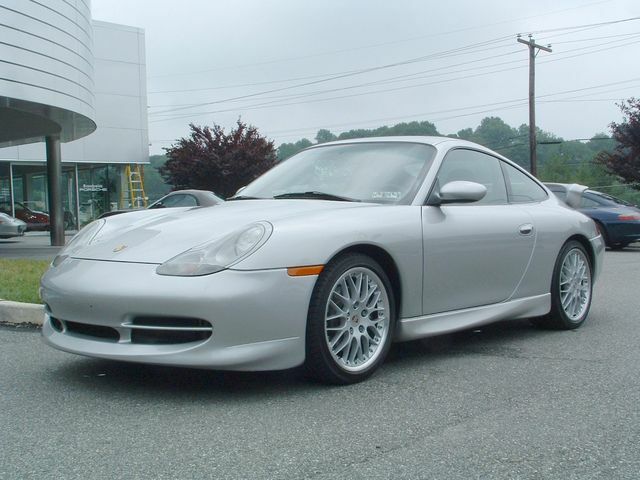 Being a Porsche, everything was expensive and doing the full front and rear, rotor and pad, replacement rang up to nearly $3000 at the dealer (ouch!). Luckily this was my only really major maintenance item. Sourcing parts online and finding a great independent is a great idea for any Porsche owner (of course for those who can, doing ones own wrenching is even better). I tend to use the dealer for the sake of having that history available with the car when I sell it and also for the convenience of things like loaners, kid friendly waiting rooms, pickup and delivery, and the like. So what was the verdict in the 911 vs NSX battle? For the automatic versions of both of these cars I’m going to call it a draw. While very dissimilar in their approach to rewarding the driver for going fast, the both deliver pretty equally. The 911 was a bit quicker, the NSX felt a bit better, the 911 was more convenient, the NSX was more exotic, the NSX build quality was probably a bit better, the 911 design was noticeably more modern, and so it goes. Spoilers are becoming a trend for these entries so I’ll just say that I would eventually come to experience the manual trans versions of both of these cars and the outcome was a bit different, so stay tuned!